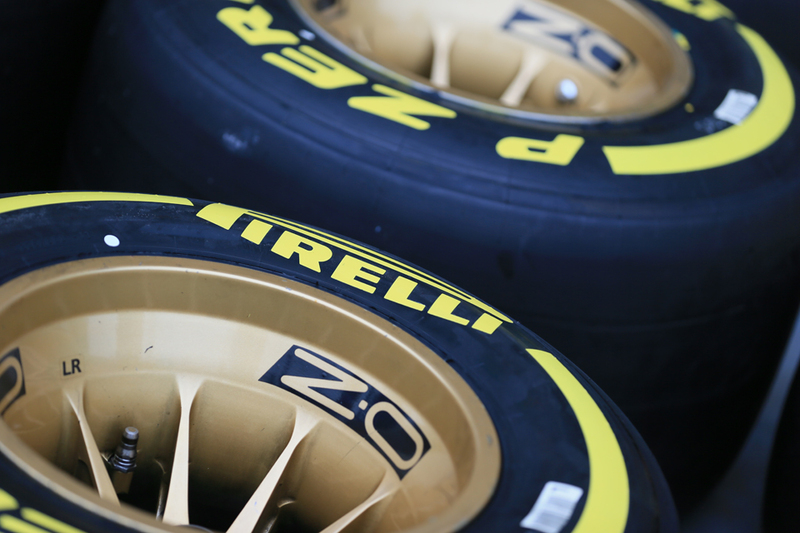 Tyres as in Singapore were a critical factor but a crucial difference here in Russia was that their strange behaviour affected everyone and not just the Mercs. Just like last season's first visit to Sochi the track surface even a year on appeared rather one like glass, giving up scant grip - though that Friday running was a write off, thanks in part to someone dumping diesel all over it before FP1, hardly will have helped. Furthermore this time Saturday morning FP3 was truncated too by a big accident for Carlos Sainz, though thankfully despite sitting out qualifying as well as being kept in hospital overnight (as the standard precaution) he's OK. He may even race tomorrow - he has FIA permission to do so and has expressed a desire to do so too. This all was also even though softer compounds were brought this time in an attempt to head off the low-grip problem. Perhaps the lower ambient temperature than last year brought things back towards how they had been. Getting tyres into their 'window' was therefore key to prevail today, and it seemed a challenge akin to walking a tightrope. Many complained about an unfathomable lack of grip; most had to do several 'warm up' laps before their fliers to get sufficient heat in their Pirellis. It appeared a challenge akin to voodoo. And underlining the effect of it all in Q2 there was 12 places and 1.7 seconds between the two Williams, and over a second between the two Lotuses. For all that the pace-setters were predictable, today was an odd one at Sochi. 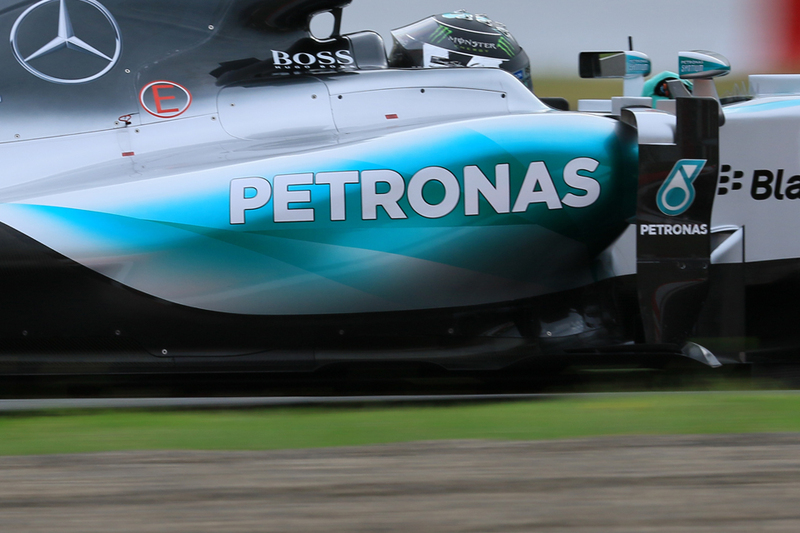 But also just like last time out in Suzuka with nearly no Friday practice running as a build up Nico was the one of the two Merc pilots who turned out to have a distinct edge. It rather goes against conventional logic given Lewis is viewed of the pair as the freehand artist while Nico is the analytical sort. As with most F1 labels they're not entirely reflective of reality. Heck, it might even be a coincidence, given we have a base size of just two. "I'm very happy" said Nico afterwards. "It's been a difficult weekend actually, because of the little running that we got; we didn't get much practice. Qualifying worked out really well; found a good balance on my car, thanks to my engineers as well. We had to guess a bit where is it going to be and it all worked out well. I felt comfortable, so got some really good laps in and I'm very happy with that." Lewis concurred. "Yeah, a difficult weekend I think for everyone" he said. "Nico did a great job on his lap. I wasn't quite perfectly happy with the balance that I had. But overall really happy. I think it's great for the team..."
But Lewis can of course look to more parallels with Suzuka for some hope for tomorrow's race. At the first turn there of course having started second he rapidly re-established his command and then some, over Nico and everyone else. No one will bet much against similar happening tomorrow, especially as Lewis appears to have a happy knack of, somehow, always, getting the upper hand on his team mate. While for Nico his last win was way back in the Austrian round. In June. It's a long run to the first turn (actually called Turn 2) here and there will be plenty of opportunity to slipstream. Lewis, presumably with this in mind, noted "as we saw last year it's not such a bad place for [starting from] P2...It's a long, long way down to Turn One. Probably one of the longest ones of the whole year so it should create opportunities. But there are other opportunities throughout the race as well". And with what happened at that same first turn last year - the plumes of tyre smoke when Nico got his braking very wrong becoming the image most used to sum up the late-season momentum shift to Lewis - how brave is Nico going to be on the brakes this time? At least though Nico self-admittedly has little to lose 12 months on. And while Lewis of course has a points buffer of close to two wins we also witnessed last time out that he isn't terribly minded to cruise and collect in his team mate's wake. If nothing else, it's not his way. Wolff added after qualifying that the Mercedes had experienced some rear tyre degradation here that may make their race tomorrow a little less straightforward. Not that the Mercs likely are in trouble. But it might give us different fare from last years' tepid race when all could do an easy one stopper and degradation was near zero. Some teams reckoned they could have done 80 laps in a single set then, well beyond the 53 lap race distance. But on the other hand at least one rival responded to the degradation debate instigated by Wolff with 'what degradation?' Sebastian Vettel added, smilingly, that "I'm not always believing what he [Wolff] says to be honest". Nico was more optimistic on the subject too: "Looks like we were especially quick on the soft which is always a good thing of course in the race, because everybody has to use them once so that can only help us" he said. 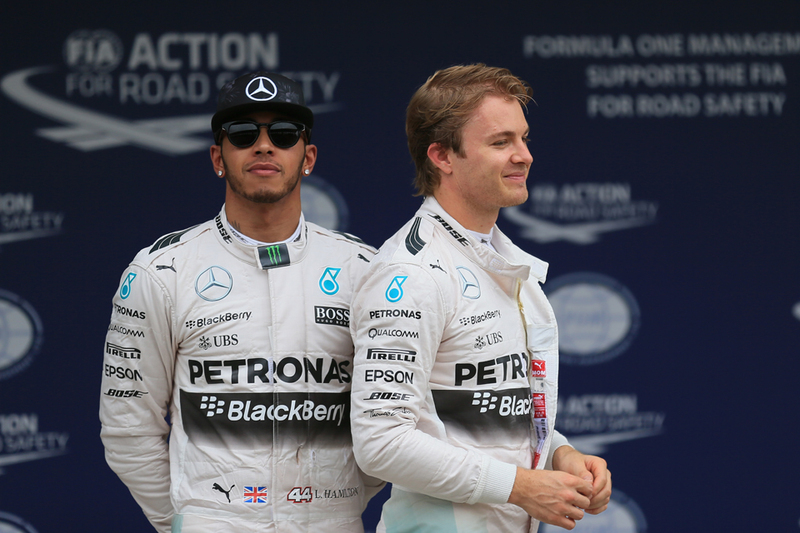 Lewis also sounded confident that a one-stopper would be possible nevertheless. "I don't know how it will be for the race. I think from our short long run, the seven laps that we might have got, we have to take information from that, but it didn't feel bad." 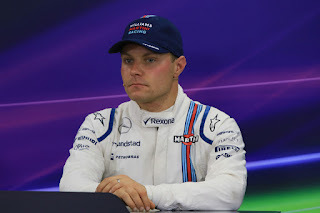 Vettel for once wasn't best of the rest, instead that honour went to Valtteri Bottas, again just like in Suzuka. Just like last year in fact. Bottas looked strong throughout and this track with its straights rewards low drag machines, which the Williams very much is. As the rather other-side-of-the-coin Daniel Ricciardo in the Red Bull noted: "[Horsepower] is the main thing here. It was similar last year; it was definitely one of our weaker circuits. There is a lot of let's say relatively high downforce corners, your third gear sort of stuff, but the straights are long, and I think even just getting onto the straights at low speed that's where the horsepower really comes into play, so you lose a lot..." This may be the biggest difference to Singapore. Vettel nevertheless thought third was possible today. "The lap was OK, but maybe not as good as it should have been...for tomorrow we have a good car and I think we should have a good race". Ferrari indeed can be counted on to come on stronger on a Sunday. His team Kimi Raikkonen starts fifth, and was four tenths off Seb's time. Even Lewis admitted that an element of voodoo was around Sochi today. "Yeah, very strange coming into the weekend - people were making assumptions that we would have a repeat of Singapore. Obviously I had no idea what it's going to be like and to think that now we have it the other way round it's very, very strange." As ever he'll be more minded than most to keep any strangeness to a minimum in tomorrow's race.